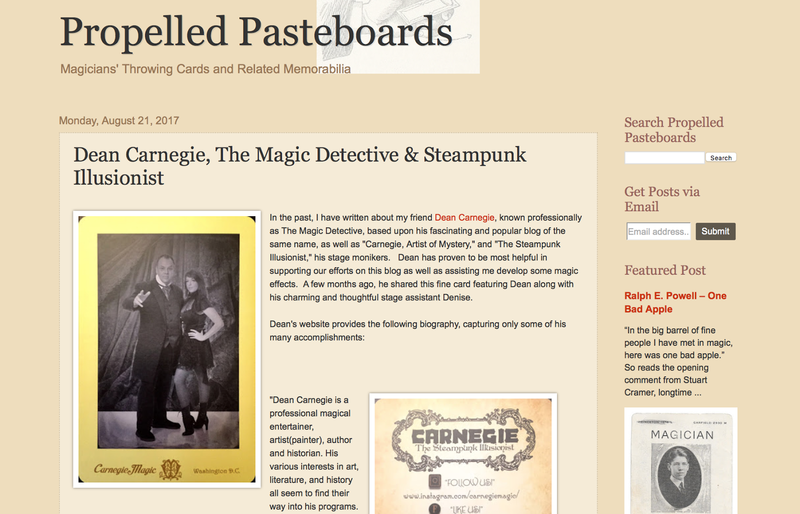 Carnegie: Magic Detective: Throwing Cards Blog Features Carnegie! Throwing Cards Blog Features Carnegie! My buddy Gary Brown over at The Propelled Pasteboards blog has featured a promotional piece I created earlier this year as both a handout, throw card, and pitch item. 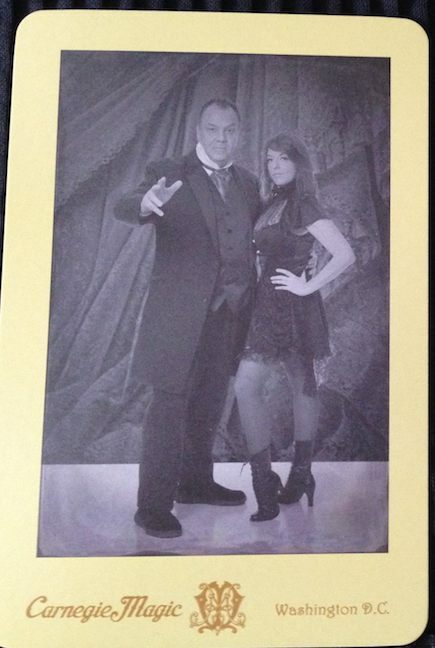 It was designed to look like a 19th Century Cabinet Card with a tin-type photo image. It came out wonderfully but then I realized the back of the card needed something. 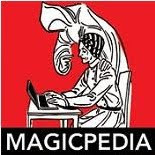 So I added contact information and an optical illusion magic piece. I was first given the optical illusion by my friend and fellow performer John Carlson. But the original image was too modern for my taste. So I recreated the optical illusion in more of a Victorian era style. Coincidentally, the very day the article was posted, I was a theater autographing a ton of these cards for audience members! They've turned out to be a great promo item. 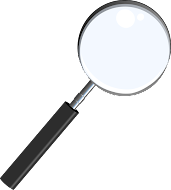 The optical illusion trick on the back is one of the things that really makes it a keeper! Thanks again to John Carlson for that tip! Please go over to the site and check it out for yourself, and while your there, please look at the enormous collection of throw cards that are featured on this site!